Apple has inadvertently revealed yet another feature in a upcoming release – new MacBooks will have a whole row of keys missing. They will be replaced by a dynamic touch bar with with Touch ID fingerprint sensor. macOS Sierra 10.12.1, released yesterday, included hidden Apple Pay images that depict the brand new MacBook Pro with a touch panel. Apple was supposed to make the announcement about its new MacBook on Thursday. There had been rumours about such a development, and the images show a Touch ID fingerprint sensor packed into a something that’s expected to be called the Magic Toolbar. It appears Touch ID is built into a nearly-invisible power button located next to the display. 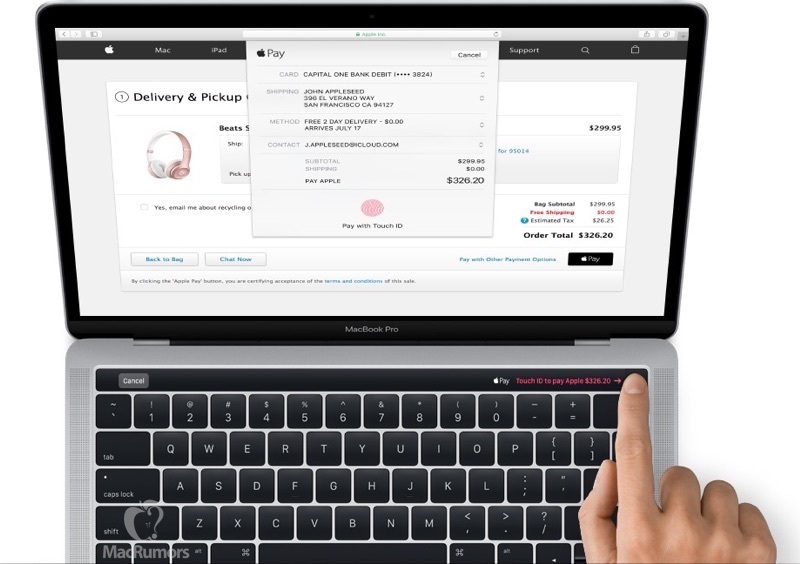 The Toolbar will dynamically change context based on what’s being accessed – in the leaked image, an Apple Pay dialog is shown, which asks the user to confirm a purchase by placing a finger on the panel. The toolbar will replace the whole row top row of keys on the current MacBook Pro keyboard. This row contains the Esc key, which now seems replaced with a dynamic touch button called “Cancel”, and the function keys, which control brightness, contrast and the like, which will now likely be replaced by the touch bar. The new development is already being met with mixed reactions on the internet, and there’s a lot of concern around the missing esc key. Rumors of no escape key on the new MacBook Pro have sent this vi user into a blind panic. After years of trying, the key on the MacBook keyboard finally…escaped. It looks like the escape key is going to be the headphone jack of this upcoming Apple event.